Calcium is one of the most important minerals in the body that shows in the hair test. If this mineral is imbalanced – either too low or too high – as compared to the other minerals of magnesium, potassium and sodium, then important functions in the body that are altered. High Hair Calcium – High levels usually indicates that this mineral is leaving the bones and accumulating in the soft tissues of the body. A high level is associated with a slow metabolic rate. High calcium is also a good indicator of hidden copper toxicity. High levels on a hair retest often means the body is eliminating excess calcium. Low Hair Calcium – A low level usually means this mineral is being lost in the urine. Low levels are associated with fast oxidation rate – alarm stage of stress. Low levels are often associated with copper deficiency. Low tissue calcium in a hair test is associated with increased central nervous system sensitivity and increased serum lactic acid levels. Both of these may contribute to increased anxiety states. Anxiety may be contributed to by any factor that interferes with normal calcium metabolism such as stress or accumulation of toxic metals such as lead and mercury. High calcium in a hair test as compared to potassium is associated with an underactive thyroid. Fatigue is often a common complaint associated with low thyroid function. 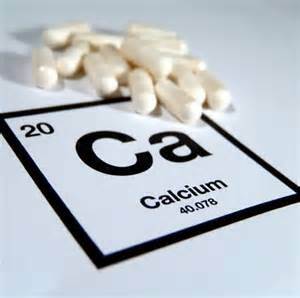 High calcium relative to potassium indicates a tendency toward a low thyroid function. It ha s been found that an elevated TSH, even when circulating T-3 and T-4 are normal, is an early indication of hypothyroidism. Choline and Inositol stimulate parasympathetic neurotransmitters which reduce thyroid and adrenal activity. Copper is required to balance calcium deposition in the bones. Magnesium is required for the utilization of calcium. Magnesium helps keep calcium in an ionized state. Magnesium is required for parathyroid function. Parathyroid hormone in turn enhances calcium metabolism. Magnesium can antagonize calcium absorption in the gut. Methionine: the methyl donors, choline, and also tall and methionine convert noradrenaline to adrenaline which reduces sympathetic response and tends to raise calcium levels. Essential synergists: copper and magnesium. Essential antagonist: potassium, and sodium risers such as manganese and iron. Adrenal hormones: particularly cortisol also known as cortisone will raise potassium which causes calcium levels to decrease. Chromium: enhances utilization of insulin resulting in improved burning of glucose. An increase in the burning of glucose speeds up the metabolic rate resulting in a lower calcium level. Glandular relationships: any factor which increases thyroid and adrenal function will lower tissue calcium levels. Iron: is required for the 11th step is a crab cycle and for hemoglobin production. Iron tends to increase the metabolic rate causing calcium levels to drop. Manganese: enhances function resulting in lowered calcium levels. Molybdenum: antagonizes and binds to copper. Since copper is necessary for fixing calcium in the bones, lowering of the copper level result in a lower calcium level. Phosphorus: binds calcium and they got forming insoluble calcium phosphate which prevents calcium from being absorbed. A high phosphorus level is commonly associated with fast oxidation. Potassium: this monovalent element helps dissolve calcium deposits and speeds up the oxidation rate which will lower tissue calcium levels. Sulfur: is required for bone mineralization. It assists by moving calcium from soft tissues into the bone thereby lowering soft tissue calcium levels. Things that lower tissue levels calcium: Thyroid hormone enhances the burning of glucose within cells which in turn speeds up the metabolic rate to lower the calcium level. Zinc: is necessary to retain potassium if potassium levels rise calcium levels will fall.